Just a quick look on how this neat system works. 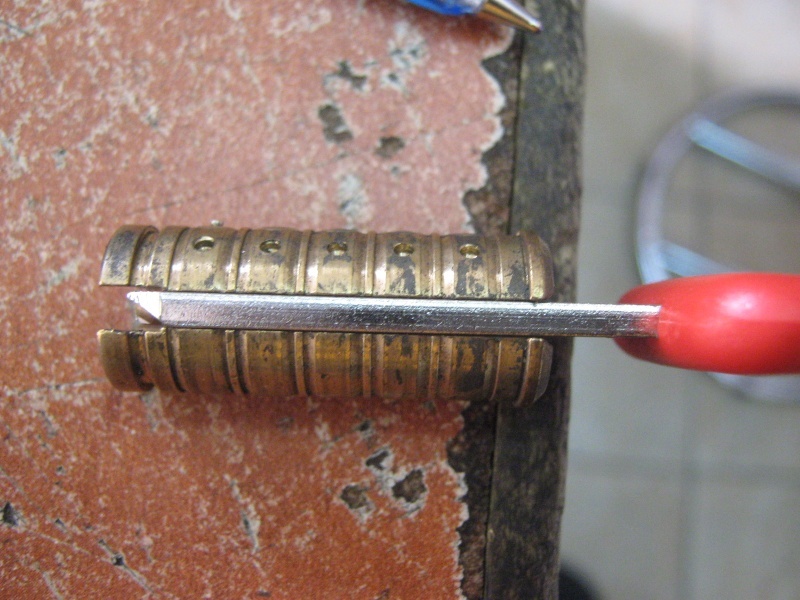 The purpose of this lock is to give a free change key without changing the lock itself . I haven’t looked into other systems yet, but I reckon they all have the same principle more or less. 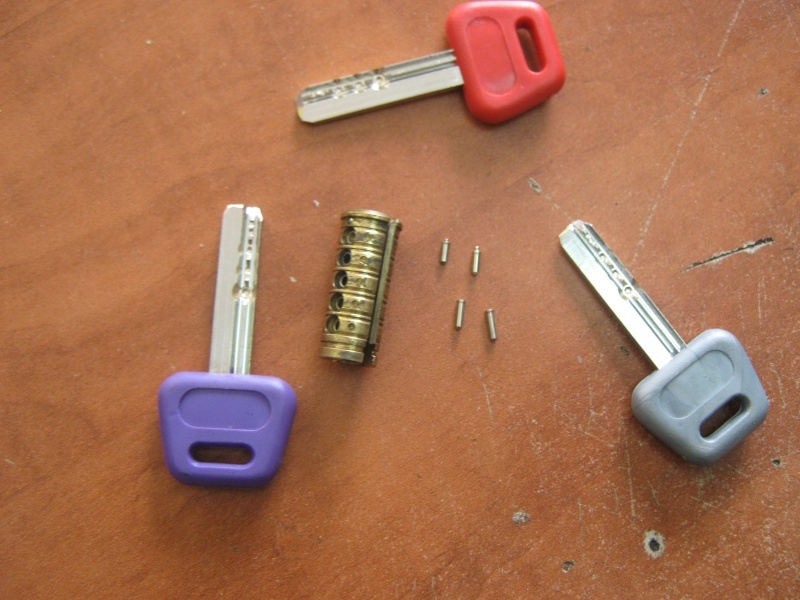 The lock comes with 3 keys (usually green, yellow and red). The outer pins are all the same but the inner pins have a different end to them. 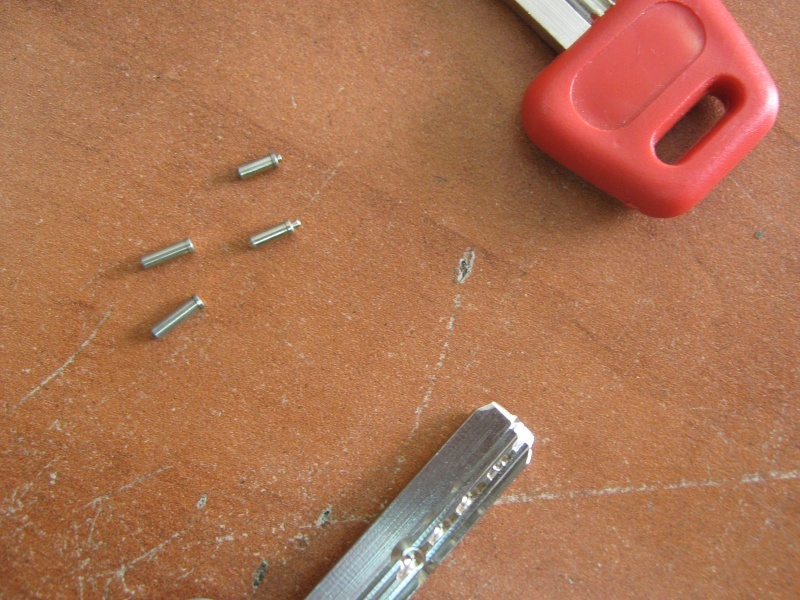 The inner pins come with an extra ball that will break into the plug which has special holes for that. Here you can see the first key shear line. This key will work as long as you will put the next key in. 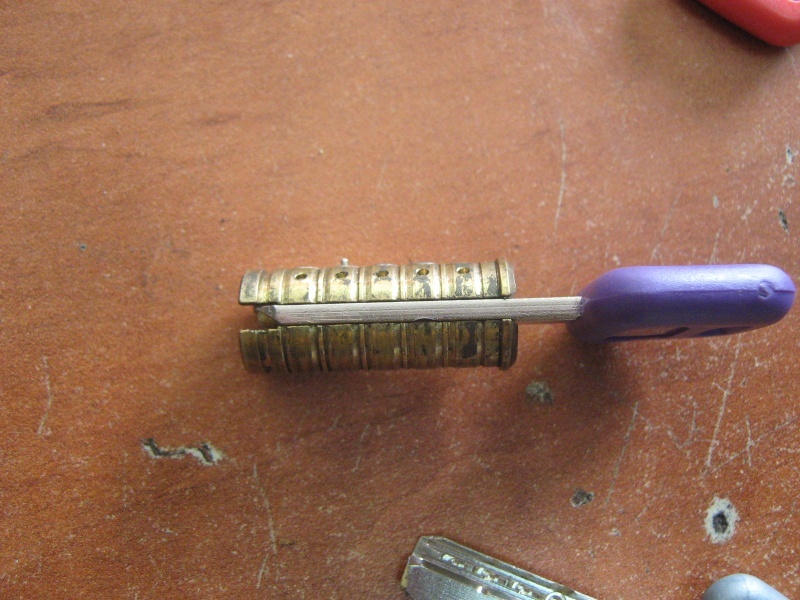 The next key is inserted, but the key combination is different. 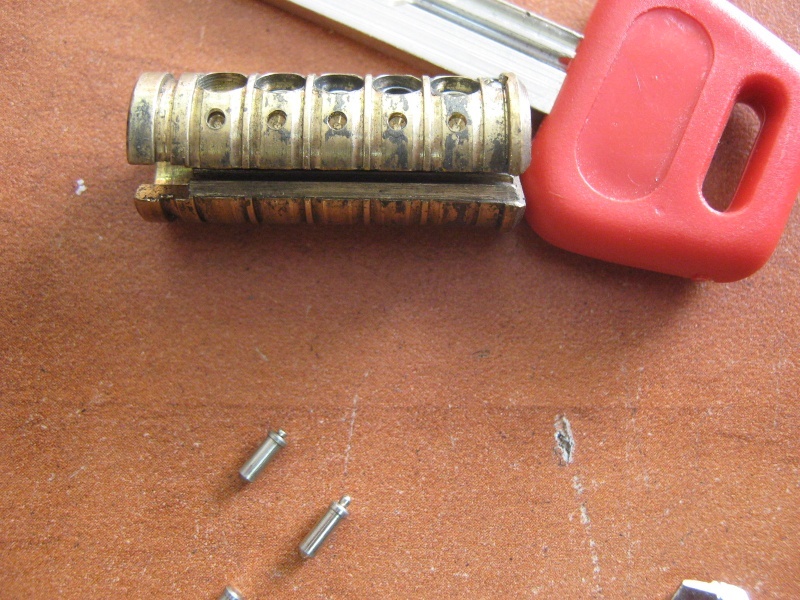 The inner pin is lower in one step, and the little ball will now arise and break when the plug is turned, leaving the first key useless. And again now on pin number 5 . 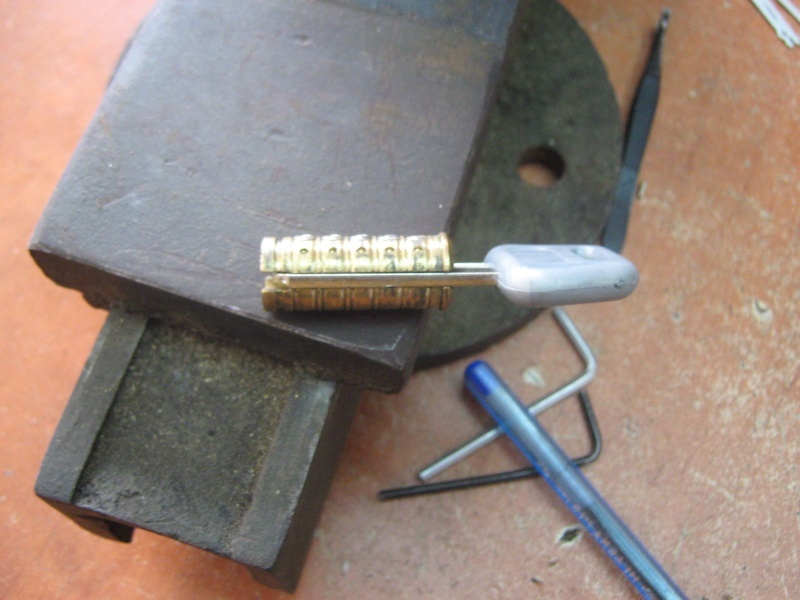 Lower combination key is inserted into the lock, leaving the second key useless. So this is the basic change key system. 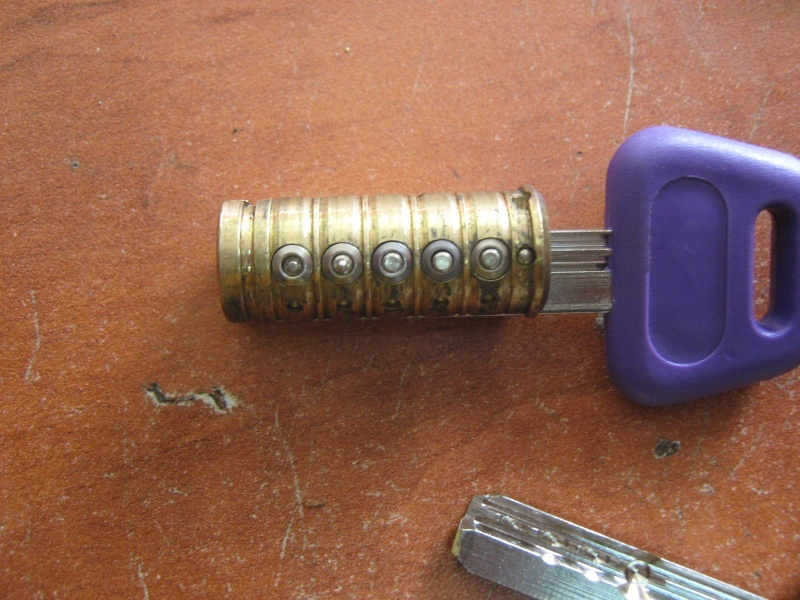 It can also be 5 in 1 system and as you can see, bumping this lock with the old key is very very easy.